Govt to SEIZE your 15 yr old car from where you park it! The Delhi Transport Department will start a drive today on the 8th of October that allows officials to seize diesel vehicles that are more than 15 years old. 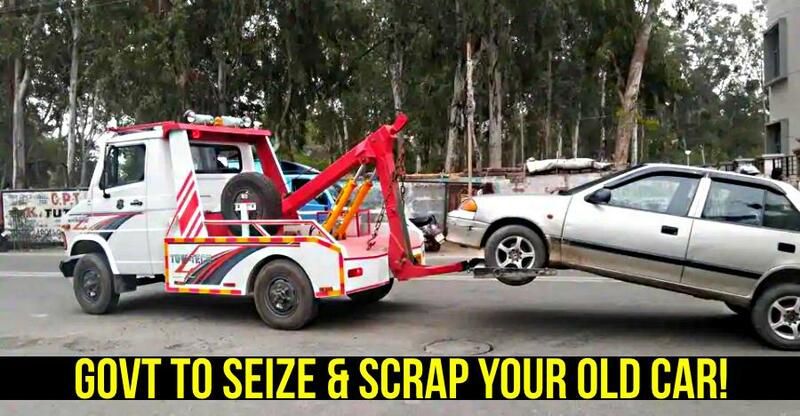 Vehicles seized will not be returned to owners but instead will be de-registered and scrapped as per the new Delhi Scrapping of Vehicles Rules, 2018. The impound and scrappage drive will kick off in South Delhi and is part of an anti-pollution drive launched by Delhi’s transport department as the national capital prepares for another winter, a season when air quality levels routinely dip under safety limits. According to Delhi’s new scrappage policy, owners of vehicles that are over 15 years old can voluntarily give away their old vehicles, be they two or four wheelers to dealerships, where they will be given an assured amount of money. Another option for owners is to either sell or register their vehicles in other states where the new scrappage laws don’t apply. According to city records, Delhi’s transport department has already deregistered 223,000 diesel vehicles since January 2016. This is being done following the National Green Tribunal order that no diesel vehicles over 15-years of age would be allowed to ply on Delhi’s roads. The nation’s capital currently has over 370,000 vehicles that are over 15 years old plying on its streets. Notices were sent out about the new ‘Delhi Scrapping of Vehicles Rules, 2018’ law for the scrappage of vehicles older than 15 years in Delhi last month. The law was pushed by Delhi’s government after record low levels of air quality last year saw a health emergency being declared in India’s capital city. While Delhi’s new law makes a lot of sense in terms of curbing pollution levels, allowing government officials to seize vehicles could prove to be rather chaotic and could cause quite a few issues especially with families that have only one car to run around in. The Delhi government has also made nothing clear about what will happen to classic and vintage cars that are present in many collections in the city of New Delhi. Allowing officials to seize and destroy such vehicles may lead to us losing some automotive treasures if the officials are not careful. « All-new Hyundai Santro: First drive impressions!